Our PVS-IRS2-2 PVC vent screen kit is the most popular solution for those who have high efficiency furnaces, power vent hot water heaters and boilers that have dual 2″ vents. This kit allows individuals to easily install an internal breathable cap on their appliance’s intake and exhaust vents. With four total screens, and four internal wire clips, seasonal protect from insects, animals and debris is easily obtainable for wise shoppers that want to avoid future problems with their high efficiency appliances. 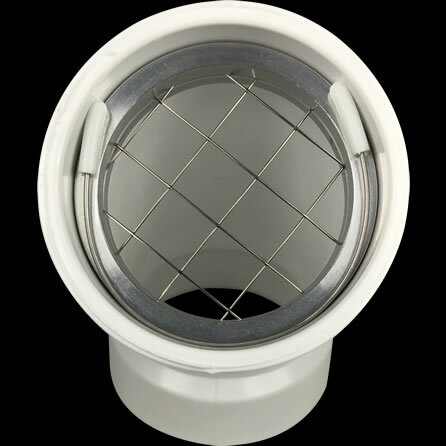 Fitment: All four vent screens included in the PVS-IRS2-2 kit are designed to install inside standard 2″ PVC vent termination hubs and couplings which have an inside diameter of 2-3/8″. Those who have high efficiency appliances with dual horizontal vents (intake and exhaust) will appreciate the value our PVS-IRS2-2 PVC vent screen kit offers. Although this kit is often used with high efficiency hot water heaters and boilers, more often than not our customers have a high efficiency furnace they need to protect. In fact, this is the same kit our founder uses on his 95.5% efficiency furnace vents. What makes the PVS-IRS2-2 kit unique is that it offers year round protection for high efficiency furnaces. When insects are active, simply install the PVS-IS2 screens on the horizontal intake and exhaust furnace vents for maximum protection against insects, rodents and small debris. Especially for our customers who have kids, the vent inlet and outlet will be protected from small objects that young children may try to insert inside the pipes. Believe it or not, this does happen more often than anyone would like to admit. In late fall and just before winter, swap out the two PVS-IS2 vent screens with the included PVS-RS2-2 screens for maximum airflow and complete protection from rodents like squirrels, chipmunks, mice, moles and birds. The PVS-IRS2-2 kit offers complete seasonal protection that no other two inch vent screens can guard against. Our vent screens easily install in seconds and utilize a unique internal fastening system so that they do not diminish the beauty of your home’s exterior. 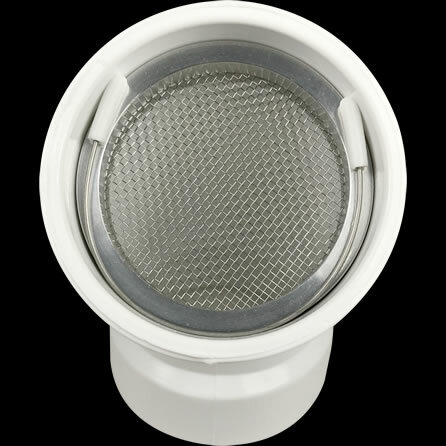 In fact, a single vent screen can be removed and replaced in under one minute. 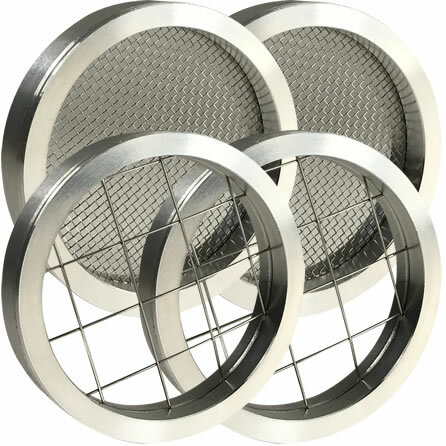 The PVS-IRS2-2 PVC vent screen kit resists corrosion and is built to last using a 316 stainless steel mesh, 304 stainless steel internal wire clips and an aerospace quality 6061-T6 aluminum outer shell. Designed to withstand temperatures that exceed 250 degrees Fahrenheit (most exhaust discharged from high efficiency appliances is 110 degrees or less), our vent screens will likely outlive even your future furnace, hot water heater or boiler purchases. Since our PVC vent screens are made in the United States, with American made materials, it’s no wonder that so many plumbers, HVAC professionals and pest control specialists trust our high quality screens for their customers. Especially during the summer months, when temperatures are quite warm, many of these professionals have embraced our PVC insect vent screen as a way to protect high efficiency furnaces from insect damage when they are not in use. Bees, wasps and other undesirable insects do find their way through manufacture supplied and competing rodent vent screens. Thankfully, the PVS-IRS2-2 kit solves this problem and the often unwanted repairs bills associated with high efficiency appliances that malfunction due to active beehive colonies inside the appliance, animal nests and even small debris that can damage blowers. 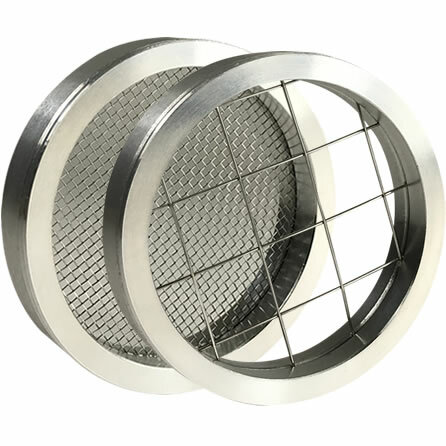 If you are fitting our vent screens to your existing boiler, furnace or hot water heater ventilation system, please see our vent screen measurement page to learn more about proper fitment. Both photographs and video are available to aid you in taking the proper measurements.